Asianet premiering the latest malayalam movie kili poyi on this saturday. You can watch the movie kili poyi on 11 april 2015 at 5.00 p.m. Its a new generation malayalam movie Directed by Vinay Govind. This is his first independent movie and he assisted v.k prakash. Kli poyi is produced by Siby Thottupuram and Joby Mundamattom under the banner SJM Entertainment. asif ali, aju varghese, sampath raj, raveendran, sreejith ravi , joju george, sandra thomas, samata agrawal, sabreen baker, mridul nair, chemban vinod jose as smuggler etc are in the star cast of this film. 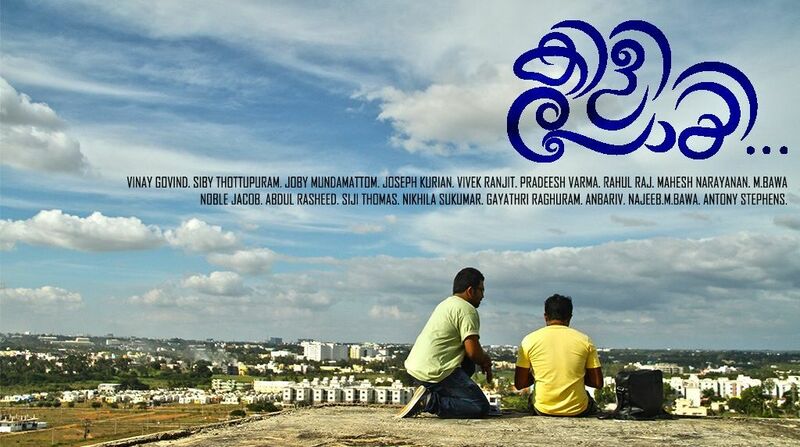 Asif Ali as Chacko and Aju Varghese as Hari playing lead roles in Kili Poyi Malayalam Movie. Asainet premiered the films Avataram, Iyobinte Pusthakam on the Easter day. There are other films coming on Vishu Day 2015. Kili Poyi is premiering on this saturday at 7.00 P.M. Asianet recently purchased the satellite rights of some latest films. Mohanlal’s latest film Ennum Eppozhum rights is purchased by them. Onnum Mindathe, Vellimoonga, God’s Own Country etc are expecting on Asianet during the Vishu 2015. Don’t forgot to watch the premier of kili poyi only on asianet saturday 11th april 2015 at 5.00 p.m.